Our cutting edge technology and 30 years of experience enables us to design and develop an array of HDPE Woven Fabrics Laminated. These laminated HDPE fabrics are manufactured with highest % of UV stabilizer for longer life, under constant exposure to sunlight. 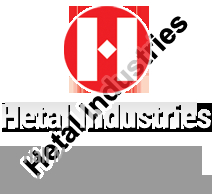 Our range strictly complies with industrial quality & safety standards. Manufactured through advance technology machines make our qualitative range of HDPE woven laminated fabricssuperior in durability and finish. Our range of high quality laminated HDPE fabrics are widely used for wrapping of steel coils, tyres, yarn cones and other industrial products. All the layers of the fabric is treated with UV stabilizers to provide excellent protection and longevity. 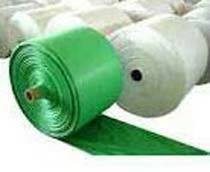 These fabrics can also be used for covering aircrafts, trucks, tempos, trailer trucks, railway wagons, storage of industrial machines (Without shed in open), agriculture products. This category of HDPE fabric is available in roll form and can be run conveniently on automatic cutting and stitching machines. Weight : As per requirement.